Refined design, practical features, the leather wallet styled protective case brings you a stylish way to hold your iPhone and other essentials. Like the design? Let’s go on for the handmade iPhone 6 case. 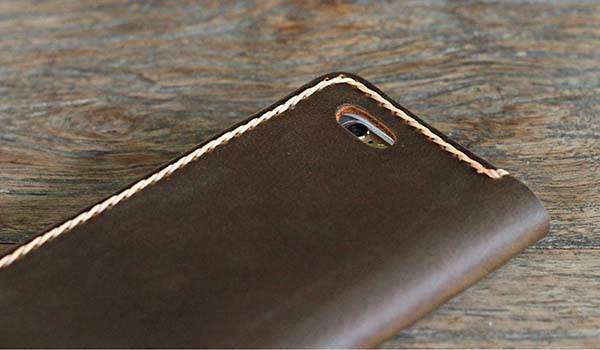 This is a well-crafted and durable folio case that comes in two models for iPhone 6/6 Plus. 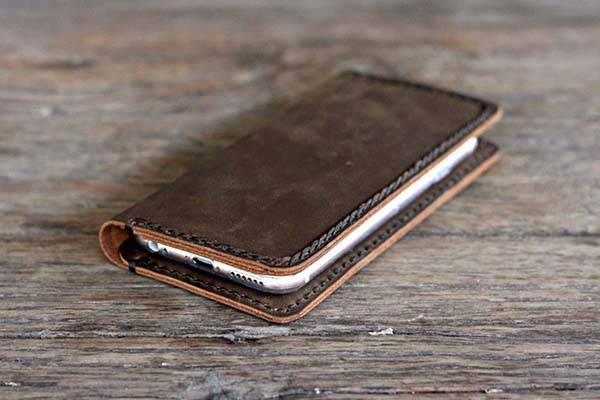 Both the iPhone 6 case and iPhone 6 Plus case are made from distressed leather and hand stitched with natural tan thread or dark brown thread in order to deliver you a stylish look and rugged construction, and the leather case comes with a clear silicone cradle plus leather cover to guard your iPhone from bumps and scratches. Moreover, the folio leather case also features three interior pockets, one under your handset, two on the left side, so there is enough inner room for your cash and credit cards, moreover, custom openings let you access all iPhone buttons and functions. 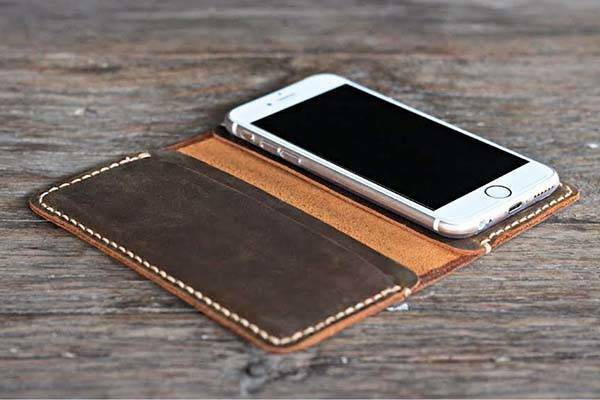 Each of the handmade wallet iPhone 6 and iPhone 6 Plus cases costs $39 USD. If you like it, head to Etsy for more details. Additionally, if you need other options, you may like to check the customizable leather iPhone 6 case and more via following tags.